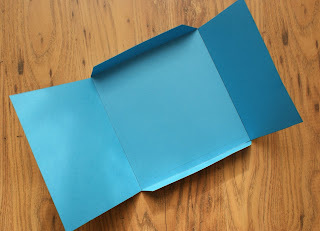 Now... you spent your time and put a lot of effort to making a handmade card for that someone special. 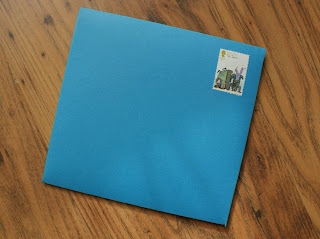 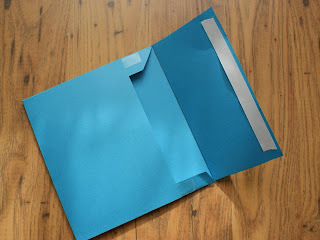 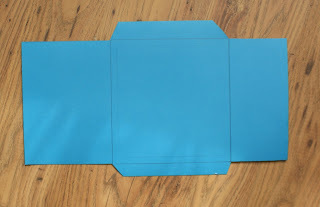 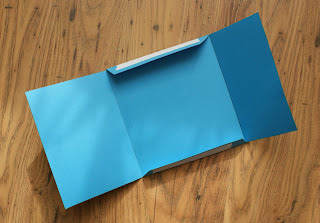 How about to make it even more original by making your own envelope that would fit your new card perfectly, whatever its size?? You can choose paper of any colour and any type and texture you like. 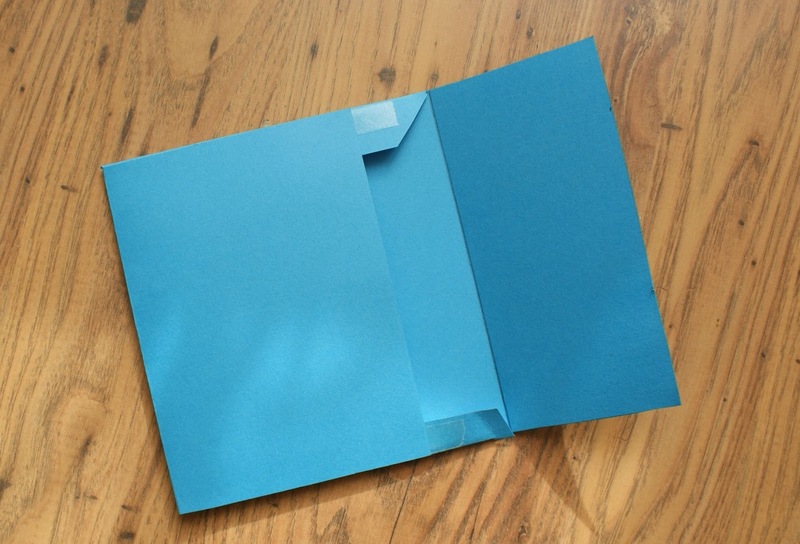 I chose a card paper in blue for this one. 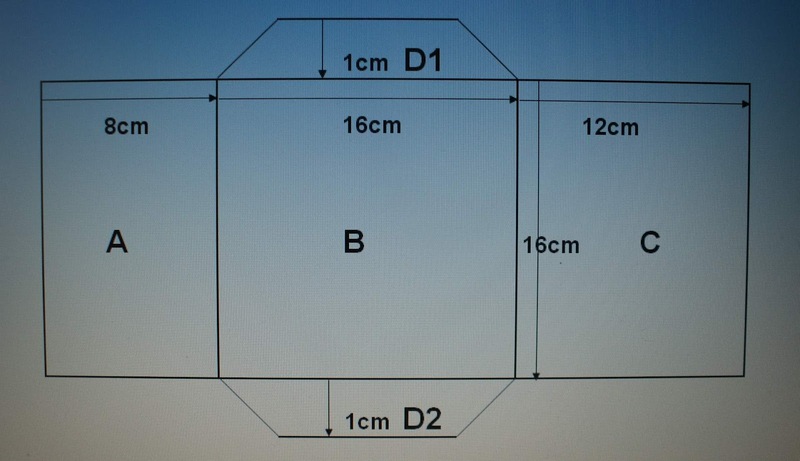 Section B on the picture is the actual size of the envelope. So if your card is of a different size to mine just add 1cm each way to the size of your card and you have the measurements for your envelope. 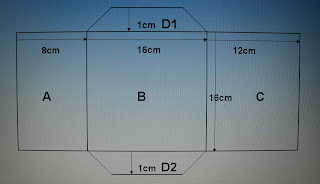 Sections A and C will fold over and will overlap; in this case by 4cm (12cm + 8 cm - 16cm). 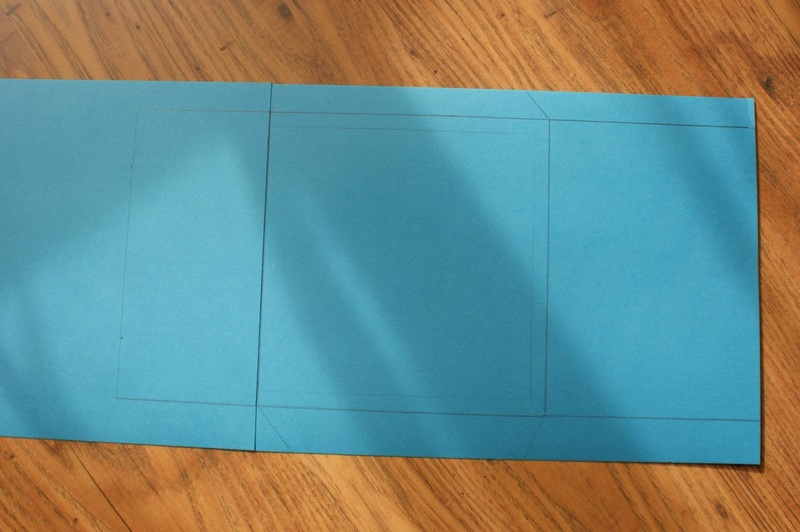 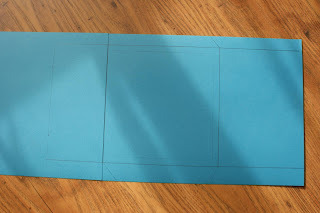 Again, if your card is of a different size to mine, you will have to readjust your measurements to allow for the overlap.